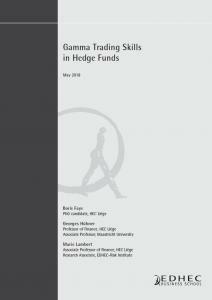 This paper explores the gamma trading, timing and managerial skills of individual hedge funds across categories. We replicate the non-linear payoffs of hedge funds with traded options, with the option features being endogenously defined in our replication model. On top of providing a flexible tool to create individual benchmarks for the payoff curvature of hedge fund, the model helps assigning hedge fund styles into three categories: directional with market timing skills, non-directional and market timers. Overall, our empirical results show that, on 30% of replicated funds in our sample (10,958 funds), there is no evidence of the presence of selection skills once fund performance is adjusted with respect to the option-based benchmark and the traditional option-based factors of Agarwal and Naik (2004). This research has an incremental potential to stimulate additional research in the field of hedge funds performance replication through passive strategies.